Is truck driving the right career choice for you? 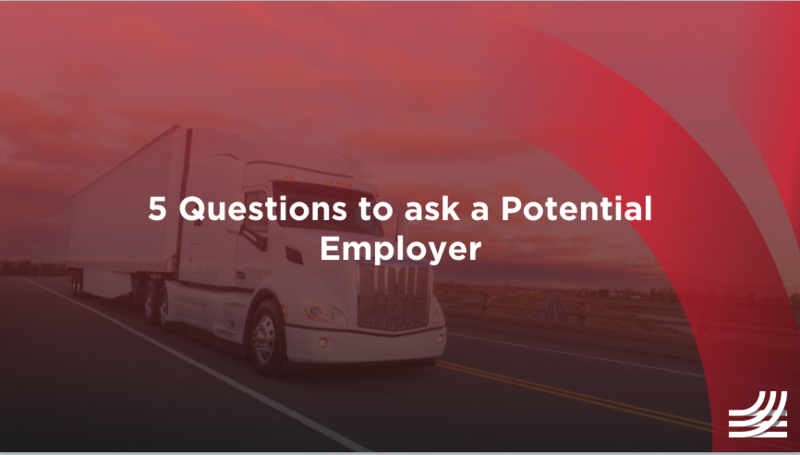 Find out by asking the potential employer these 5 questions. 1. What is Your Home-Time Policy? OTR drivers often don’t get a lot of home time, so making sure that the company has specific policies regarding home-time is important. This will make sure that you know the amount of time you will have at home and gives you something to compare to what other companies offer. 2. What Type of Equipment Will I Have? Knowing what type of equipment you will be using is important for several reasons. Not only does this provide you with information about the company, and whether you’ll be comfortable using their equipment, but it also tells you what tools you’ll have on the road. Having modern equipment should be a factor in your decision. 3. Do You Provide Layover (Guaranteed) Pay? Weather conditions and the volume of demanded work determines whether you’ll have enough hours to fill your schedule. Having guaranteed pay is a nice bonus to carry you through the month if you don’t make enough deliveries. There are several websites that give information about the average pay scale for a trucker with various ranges of experience. Be careful about how they structure their pay, for instance, if you are getting paid by the mile and you are driving in congested areas doing short hauls you may not be getting value for your work. 5. Will I Get a Dedicated Driver Manager? A Driver Manager is someone who works closely with truck drivers to ensure that they are set up for success long term and in their day-to-day work. This working relationship is especially helpful for drivers who are new to the industry. A Driver Manager can assist drivers in resolving conflicts, improving moral and can aid in employee reviews and promotions.